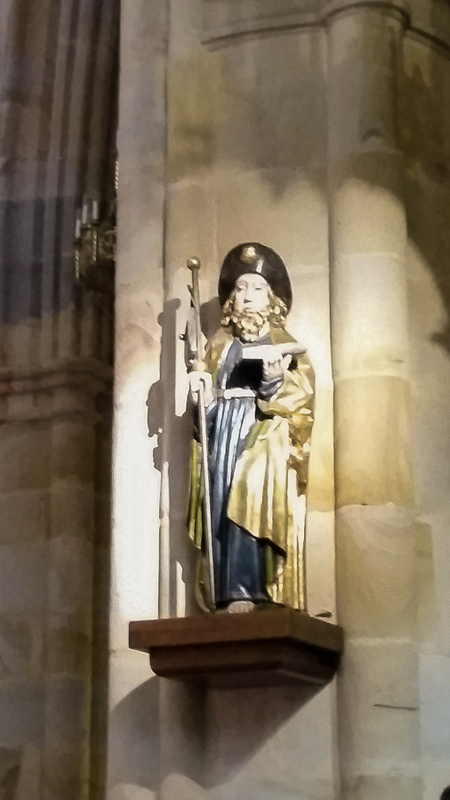 The cathedral is dedicated to Saint James the Great. 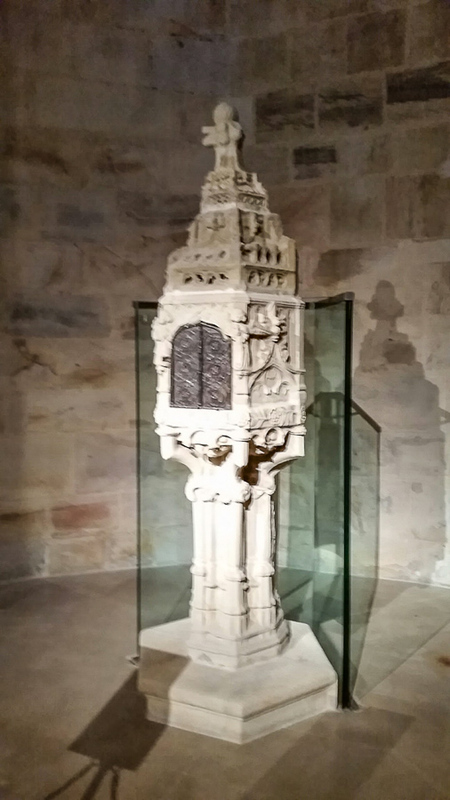 It is originally from the 14th-15th century. 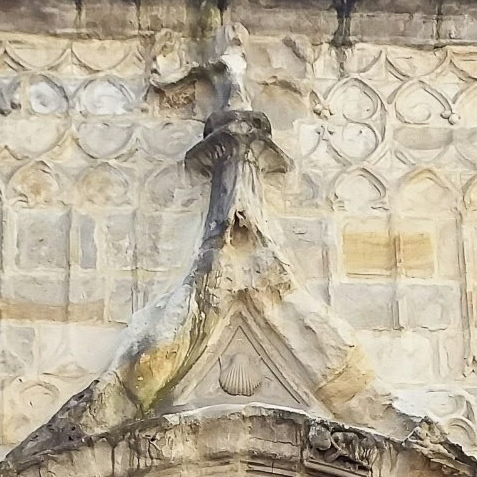 Notice the shell over the door at the peak of the arch. 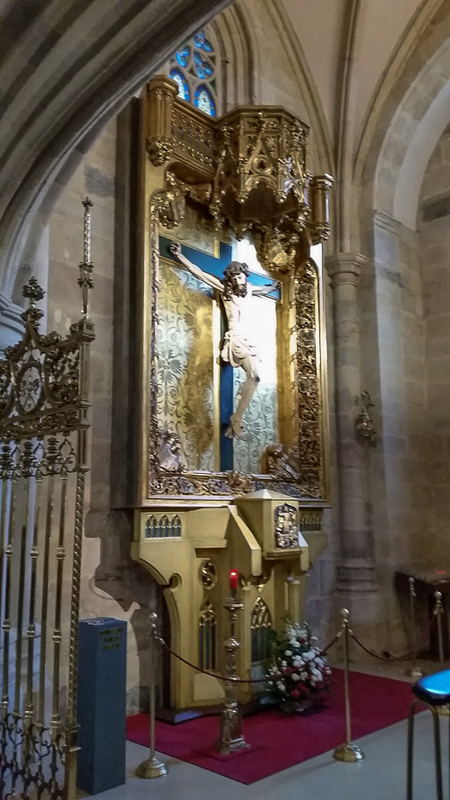 This was on the pilgrimage route to Santiago de Compostela. 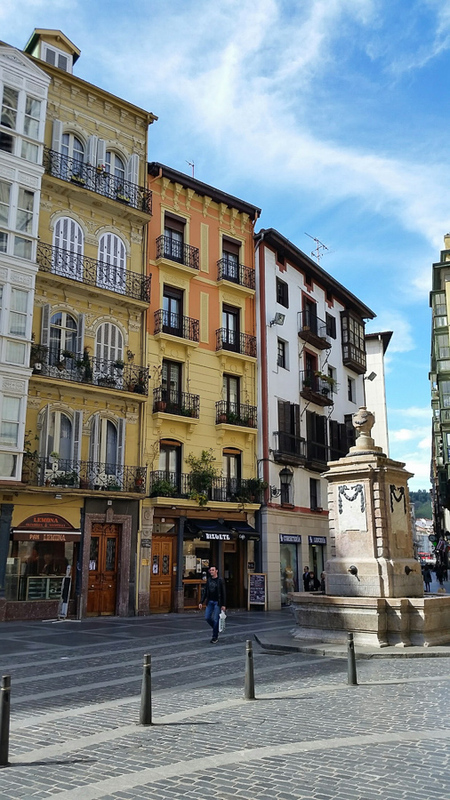 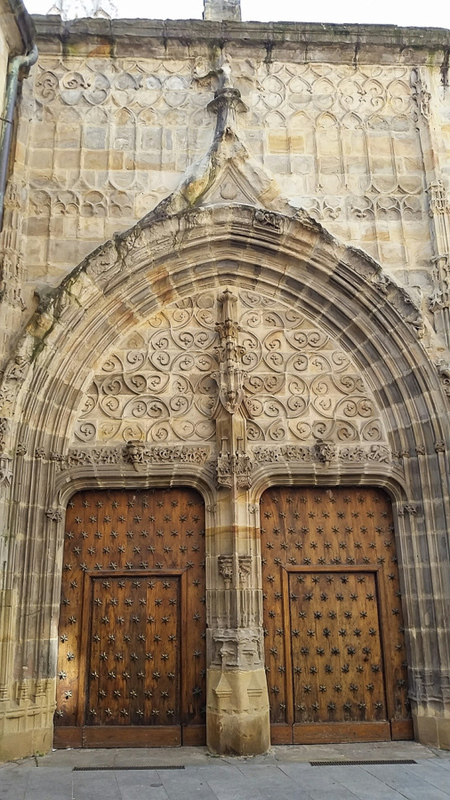 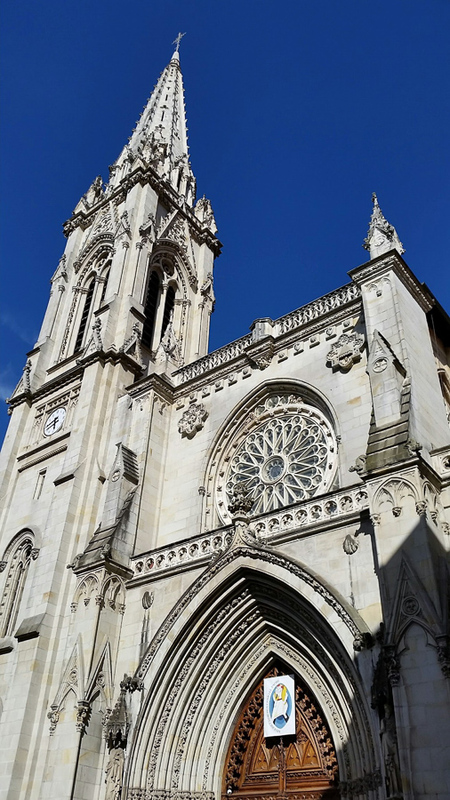 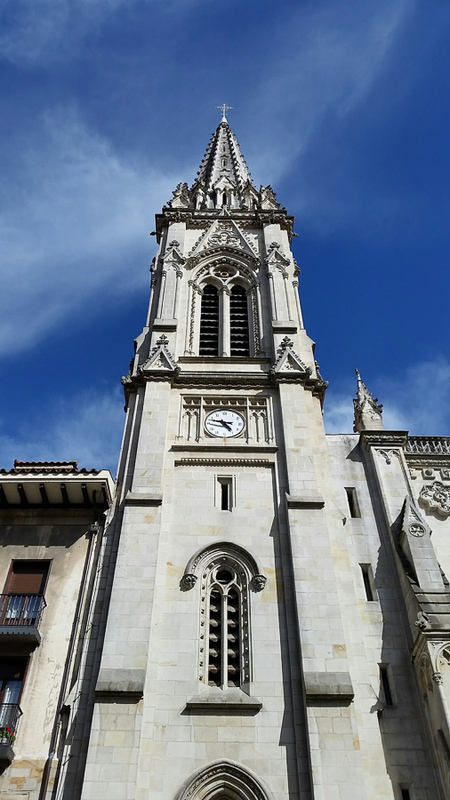 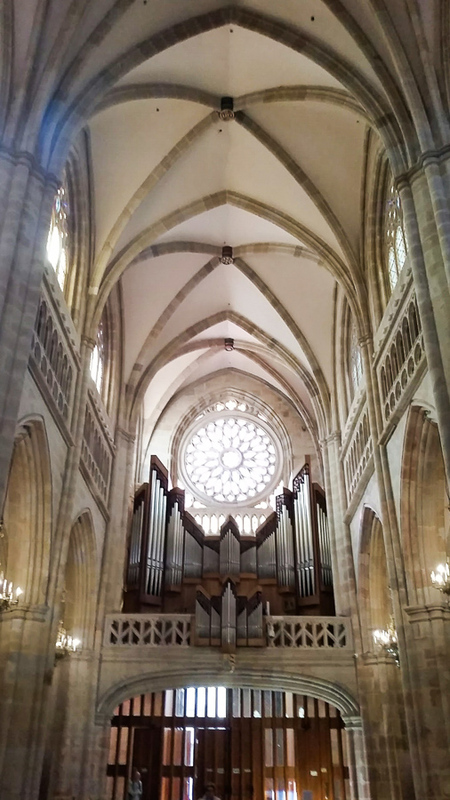 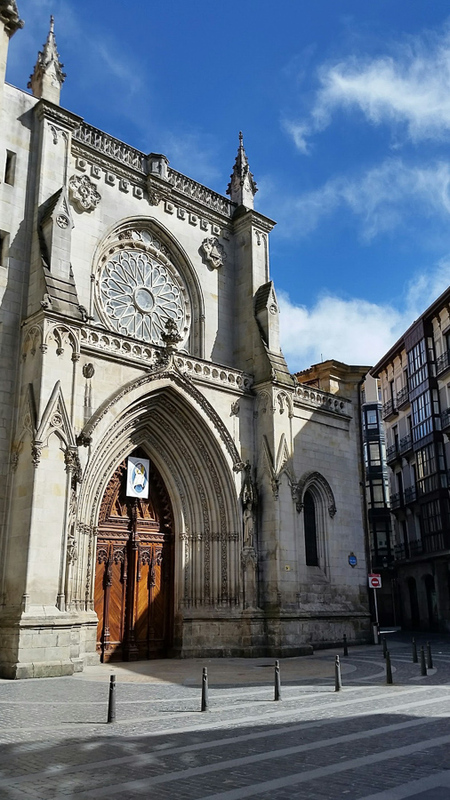 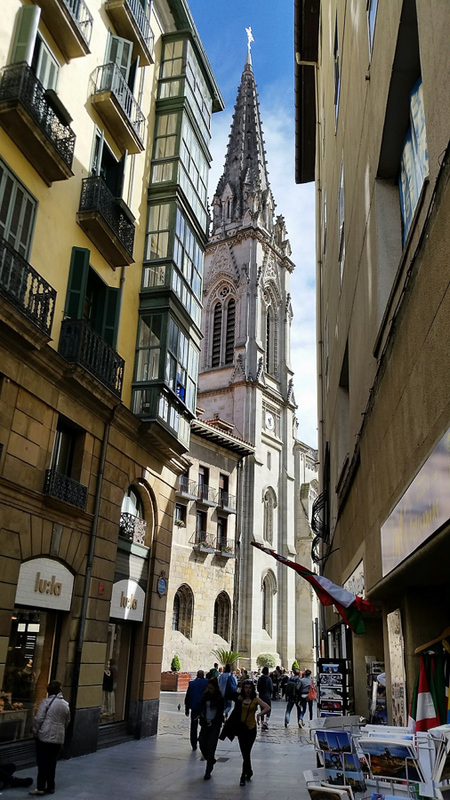 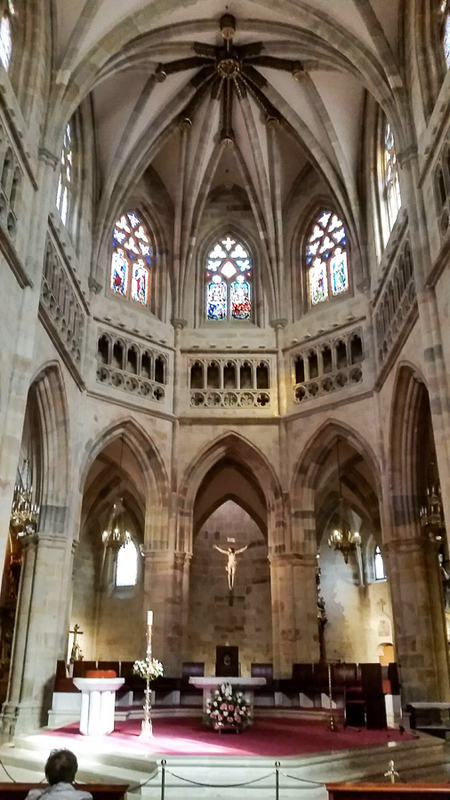 This entry was posted in Faith, Travel and tagged Bilbao, Cathedral, Saint James, Santiago, Spain on April 15, 2016 by frjfkauffmann.